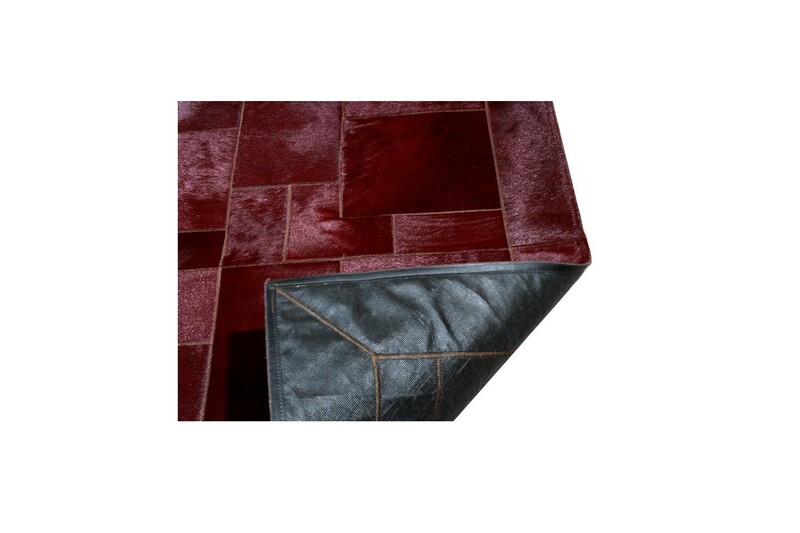 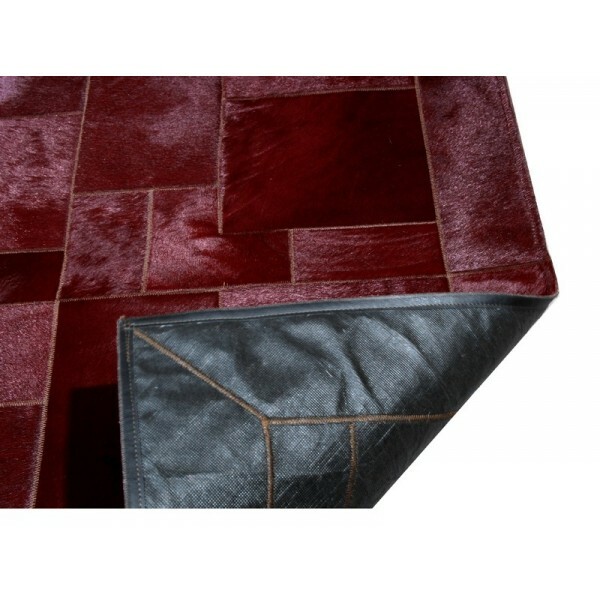 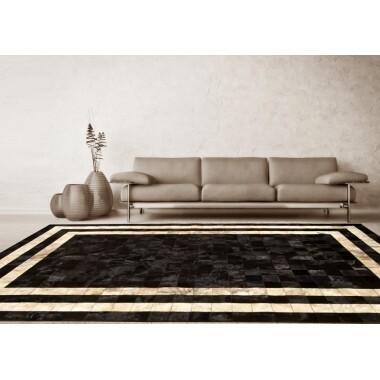 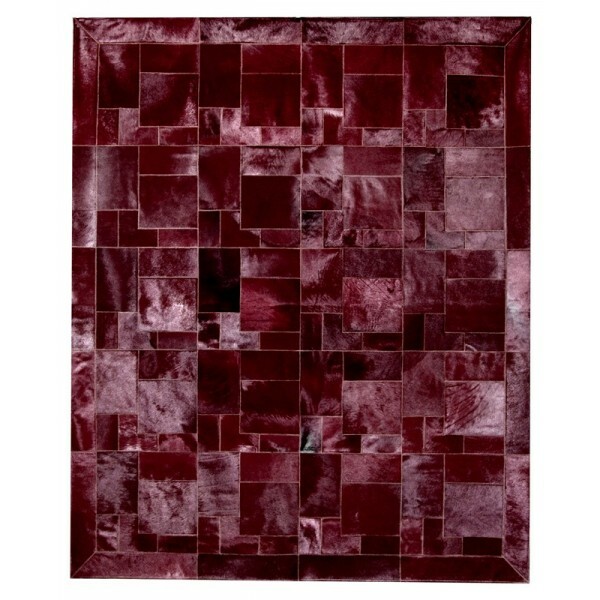 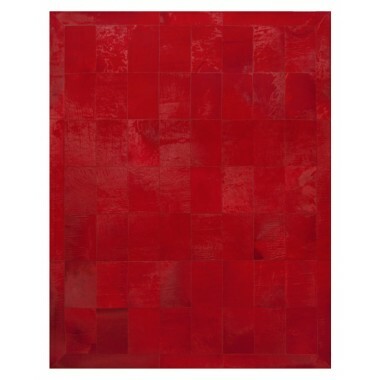 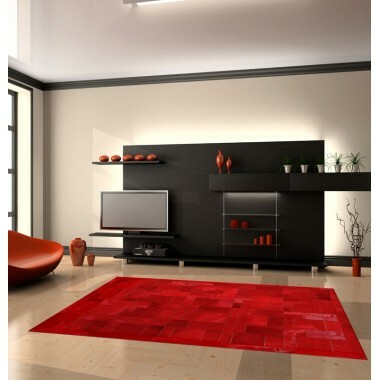 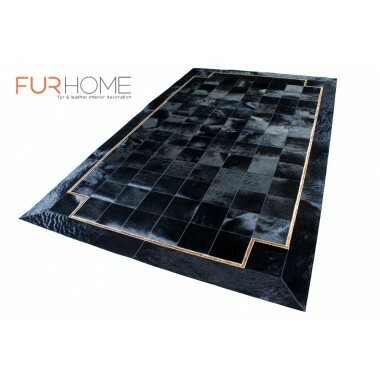 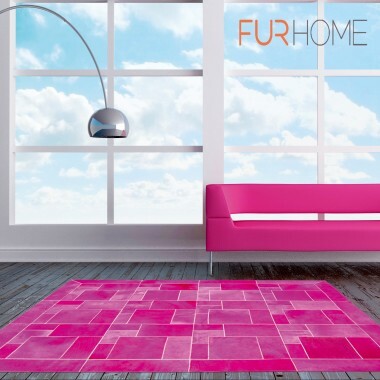 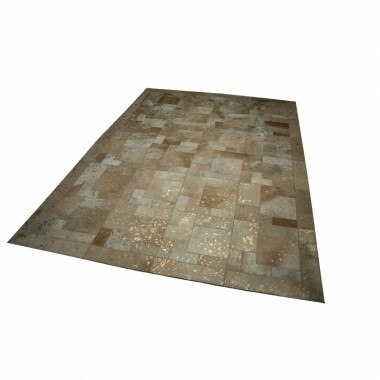 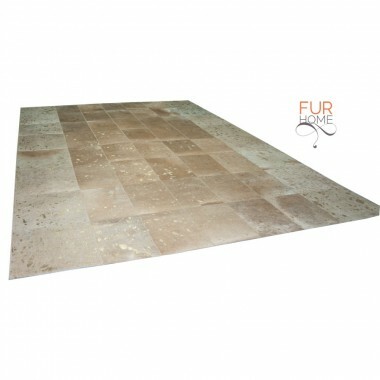 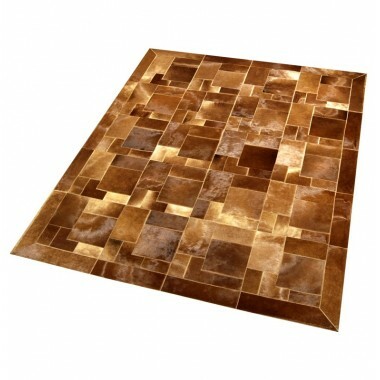 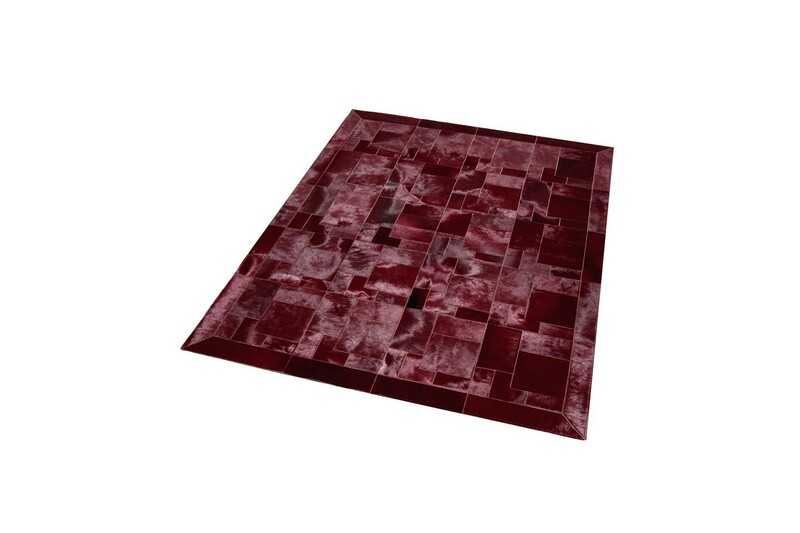 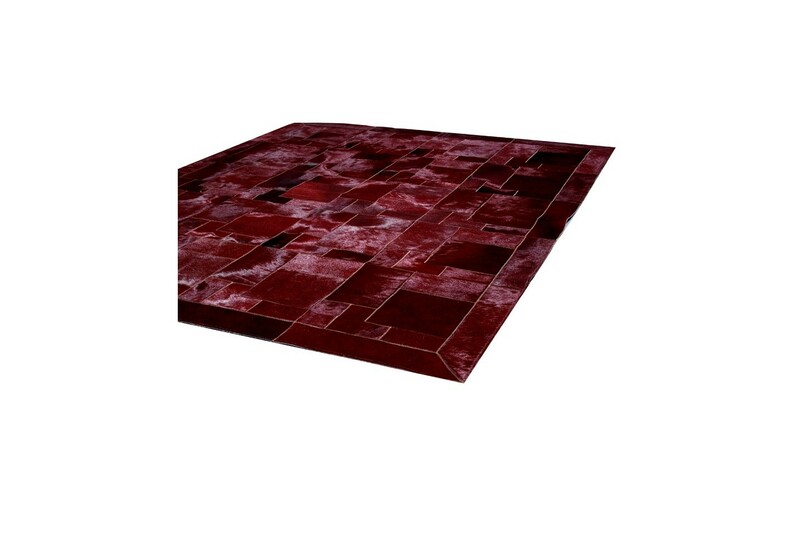 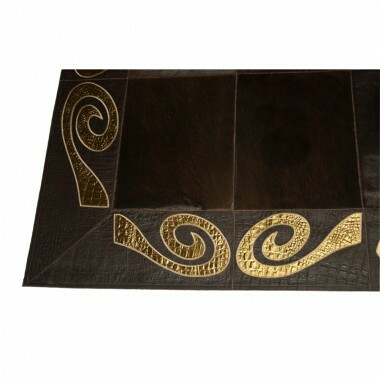 This is a modern patchwork cowhide leather rug from our Horsy collection. 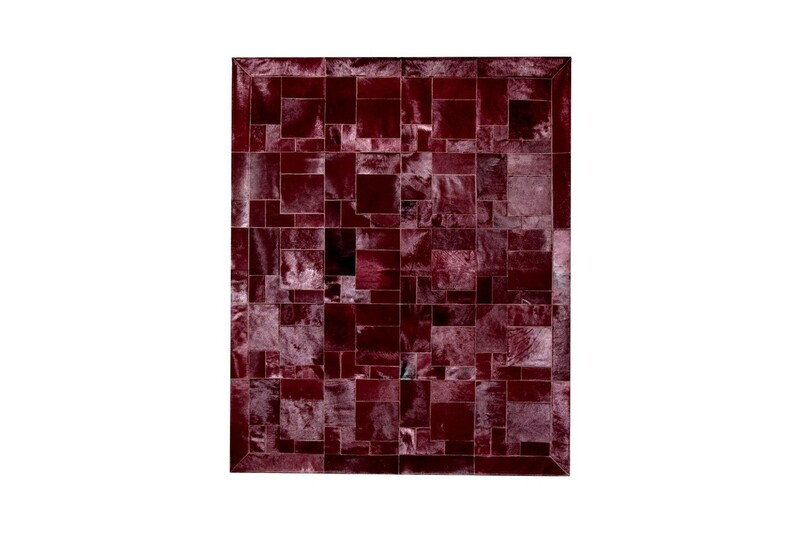 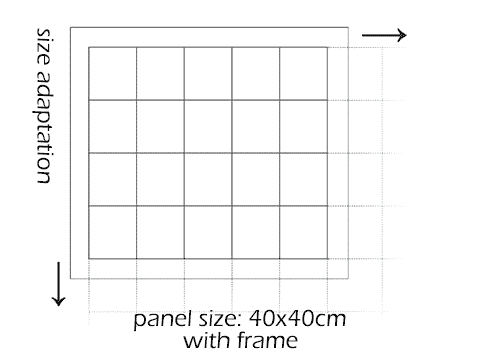 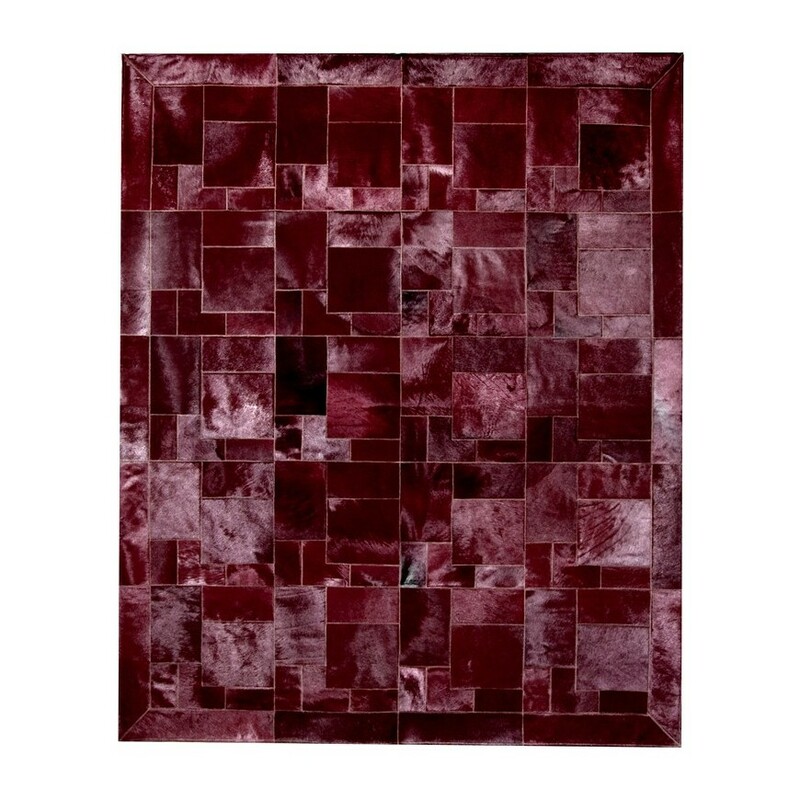 Dark red (bordeaux) tiles stiched together in a puzzle pattern and enclosed in a frame border of the same color. 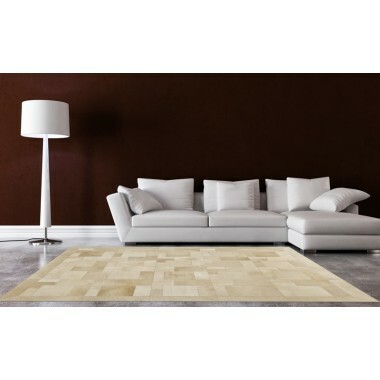 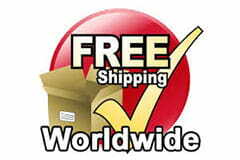 It fits nicely in modern living rooms and offices. 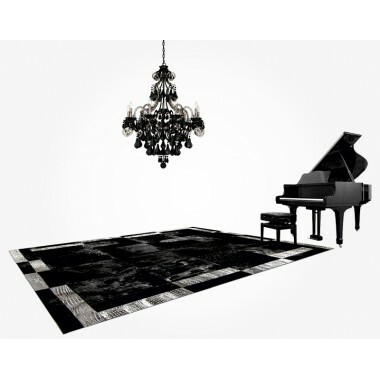 Minimal black, dark brown or grey furniture is the best match, but you can experiment and come up with great stylish ideas that fit your exact needs. 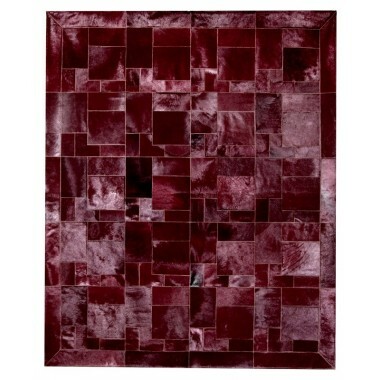 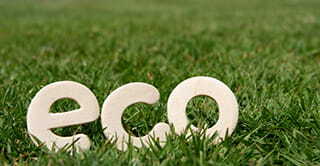 Another use with stunning results is wall hanging.